Toro will be exhibiting at The ARA Show in Anaheim, Calif., February 18-20, 2019. During the show, Toro will be sharing information about new products and programs for the rental segment in booth #5421. 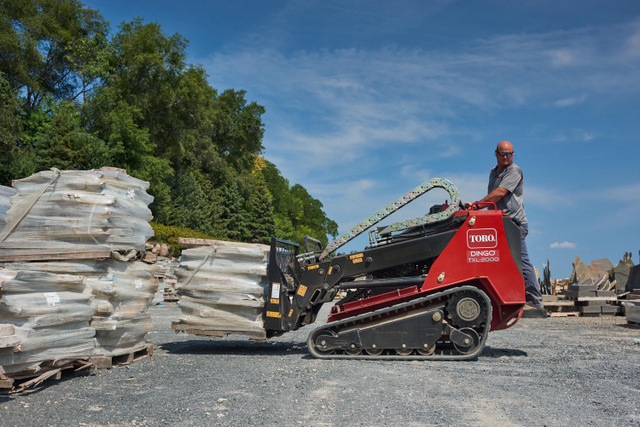 On display will be the all-new Dingo TXL 2000 compact utility loader, along with an interactive touchscreen display to learn more about specific features and applications of the award-winning machine. Visitors to the Toro booth will also get a sneak peek of a battery-powered Dingo compact utility loader. Currently in development and testing stages, the never-seen-before e-Dingo represents Toro’s continuous commitment to innovation and alternative power sources. Toro invites all attendees to come learn all about the rental program for 2019, get information about products — both brand-new and rental industry-tested — and learn all about how Toro exemplifies this year’s booth theme, Inventing. Leading. Doing. For more info on Toro, roll through this link.